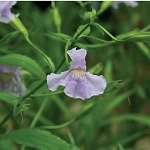 Grows naturally in moist soils on the acidic side, but they will handle less moisture and acid. 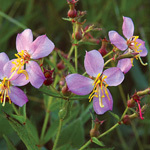 Flowers of handsome harry have slightly more vibrant colors than meadow beauty (Rhexia virginica). Seed: Harvest in July or August. 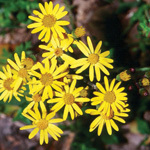 Sow seed between November and June. Seed often germinates without stratification, but the tiny seeds need exposure to light so don't bury them.